Goa has well over 25 amazing beaches ranging from the full-of-life party destinations to the serene and peaceful ones. 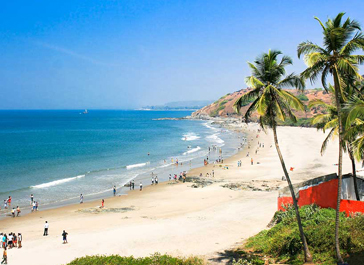 As a general assumption, the beaches of North Goa are considered to be more happening and lively than those of South Goa which are quieter and more secluded. South Goa is rather mellow, with serene beaches like Arambol, Palolem and Galgibaga (famous as a nesting ground for Olive Ridley turtles) which are cut off from the world, but really worth paying a visit if you are looking for some peace and quiet. 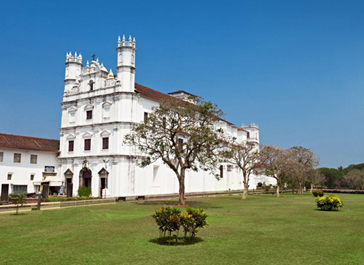 This UNESCO World Heritage Site is a church, which is situated in Old Goa, and is an excellent example of Baroque architecture. 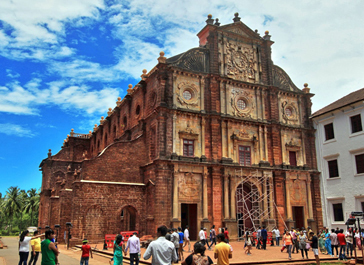 Basilica of Bom Jesus was constructed in the year 1605 and is one of the most important destinations for Christian pilgrims from all over the world. One of the most important attractions here are the mortal remains of the missionary Saint Francis Xavier. This majestic fort perched over the Sinquerim beach is an architectural marvel of the 17th century, which was constructed by the Portuguese in order to defend their land from the Marathas and the British. 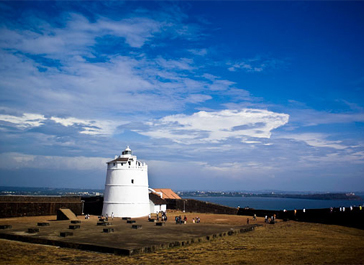 Offering breathtaking views of the Arabian Sea, a walk through the fort to the lighthouse located on top is a must while touring Goa. The lower portion of Fort Aguada has now been converted in to a beach resort. The Church of St. Francis of Assisi is a heritage construction, which was built in the year 1660 by the Portuguese as a chapel, and was later given the status of a church. Now a part of Old Goa, the church boasts of impressive architecture, and has some remarkable sculptures and paintings within its complex. Chapora Fort first got noticed in the movie Dil Chahta Hai. This ancient fort in North Goa offers splendid views of the adjoining Vagator beach and overlooks the Arabian Sea from all angles. The fort is located on top of a hillock with slopes on all sides, and though it is almost in ruins now, it doesn’t stop visitors from standing where Bollywood stars once did! 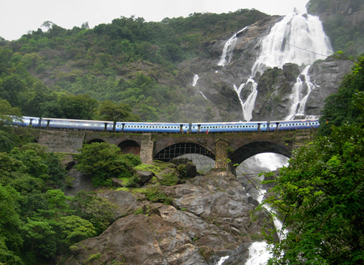 One of India’s most splendid waterfalls, Dudhsagar Falls are located approximately 60 kilometres away from Panjim. This multi-tiered waterfall gushes down milky white waters from a height of 310 metres, making it India’s fifth-highest waterfall. The site, nestled in a completely natural habitat is a pleasure to witness and one can even enjoy some swimming or rock climbing here. An easy way to reach Dudhsagar is to hire a jeep from Castle Rock or the nearby village, which will guide you through the forests to the falls. A military museum, the Naval Aviation Museum houses exhibits which portray the evolution of the Indian Navy over the years. The museum is divided into an indoor exhibit and an indoor gallery divided over two floors. Inaugurated in October 1998, the Naval Aviation Museum is the second of its kind in India, the first one being the Air Force Museum in Delhi. The outdoor exhibit is a vast park where visitors can walk around and have a look at all the aircrafts which the Indian Navy has used over the years. There are a total of thirteen aircrafts on display, some of them being: Sea Harrier, Hawker Sea Hawk, HAL-HT-2, HAL Chetak and the Westland Sea King. In the indoor section of the museum, visitors will find information about the key battles in which the Indian Navy was involved. Apart from that, on display are weapons used in war, uniforms worn by Navy personnel and also old photographs. 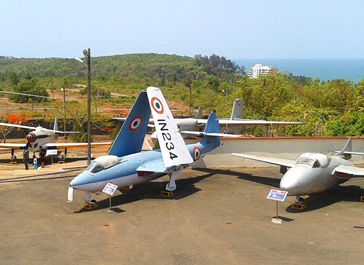 The museum also houses mammoth replicas of the INS Vikrant and the INS Viraat. 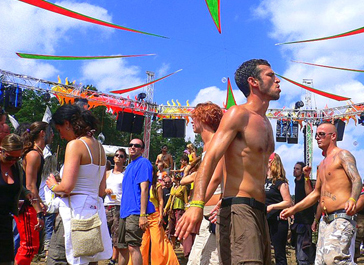 This is one of the best times to be in Goa, since almost the whole world arrives in Goa to party like the Goans do. With singing, dancing, eating and partying in full swing, Christmas and New Year is when Goa is at its festive best and the whole state is beautifully decorated. Twinkling lights sparkle and houses and churches are decked up in festive colours and the festive spirit is contagious. 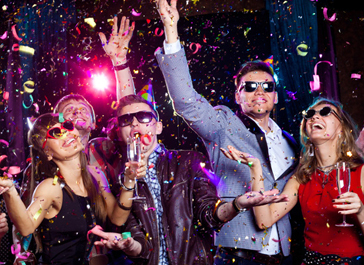 Goa during Christmas and New Year is when the sun doesn’t set on the celebrations and you’ll find everyone in an enthusiastic party mode, locals and tourists alike. Since this is the peak season in Goa, it is advised to make your flight and hotel bookings in advance to avoid non-availability and last minute steep rates. The Goa Carnival is held every year in Goa before the beginning of the Christian sacred observance of Lent. Lent marks a 40 day period of strict fasting and abstinence from non-vegetarian food and alcohol and hence Goans try and make the most of the days immediately preceding lent. The Goa Carnival is spread over a period of three to four days. During the Goa Carnival you’ll witness beautiful parades, dancing and music and delicious food- lots of it in fact. Since the dates of Lent are decided by the Liturgical Calendar, the season varies each year, causing a variance in the dates of the Goa Carnival as well. Even though Lent usually falls towards the end of February, it is advised to check the dates beforehand. Most of the celebrations of the Goa Carnival take place around Panjim, Margao and Vasco da Gama. The carnival features, clowns, fire eaters and dancers among other attractions and many other forms of entertainment as well. Hundreds of tourists come to visit the Goa Carnival each year and if you wish to be part of the carnival you can take part in the finale dance, popularly known as the Red and Black Dance. Dancers dress up in red and black costumes and have an enjoyable time dancing with their partners. There is no fee for the carnival, but there is a fee of Rs.100 if you wish to take part in the Red and White Dance and table reservations are charged extra. Since it tends to get crowded during the festival, it is advised to keep an eye on children. End of February every year, though the dates vary. The carnival free and open to all, though you’ll need to pay Rs.100 if you’re interested in taking part in the Red and Black Dance. Fort Terekhol was built by Maharaja KhemSawantBhonsle, the king of Sawantwadi in the 17th century. It was later taken over by the Portuguese. This fort was used as a base for freedom fighters during the freedom fight of 1961. 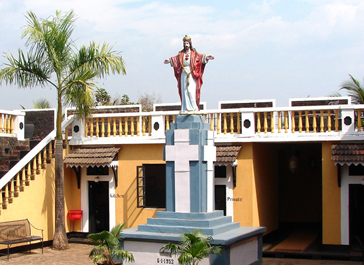 The fort has a 100 year old church inside it by the name of St. Anthony. It is not open for the public to visit. The remains of the fort are now converted into a hotel by the name of Terekhol Fort Heritage.